We are a collaborative effort of professionals highly experienced in each of our respective areas. Effective solutions to our clients with both traditional and newer ‘out of the box’ concepts to help meet objectives is our goal. We bring more than 90 years collective experience in technology, film production, writing/authoring, marketing/social media/branding, and strategic business development to you. 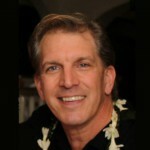 We operate by the Law of Aloha Spirit in our way of approach and intent. John background started in technology as an IBM Systems Field Engineering Specialist, moving into various roles with Hardware and Software Development, and into Project Management, and eventual Strategy Business Development with Technology influence. After 4 years with Siemens Medical in middle management, he founded a full service IT company, providing end to end technology and website related services to a wide variety of SMB’s. In parallel, John also led a career in music performance and production in countless capacities, and more recently aides in co-production and Business Development of Soul Sessions USA; a rapidly growing phenom in music video entertainment. 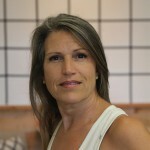 Lori is a consultant to CSM and is the principal for Point to Point Consulting, a small public relations firm that specializes in unique image creation. Lori’s ability to concisely illuminate strengths, qualities and defining characteristics of a client makes her the go-to representative for conveying powerful messages in limited space.